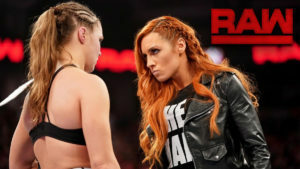 Seth Rollins and Becky Lynch make their choices for which title to challenge for at Wrestlemania, two teams qualify for the women’s tag title match at Elimination Chamber, Bayley challenges Ronda Rousey to a title match, and more on a mostly underwhelming episode of RAW. 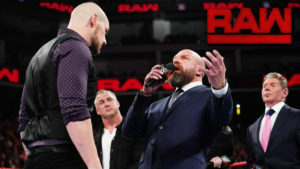 Apollo Crews earns a big opportunity, Ronda Rousey gets pissed, Seth Rollins gets ruthless, Ziggler and McIntyre battle in a steel cage, and more on a good episode of RAW. This Christmas Eve edition of RAW featured some pretty fun moments and two fine title matches, though in the end it felt a little inconsequential. 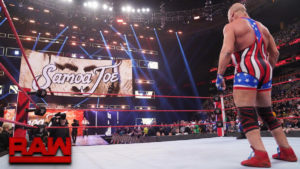 The promise of a fresh start on RAW has two number one contender matches, another beating of Baron Corbin, an IC Title open challenge, Ziggler and Balor attempting to settle their differences in the ring, and some retribution for Elias. Seth Rollins takes a stand against Baron Corbin an ends up defending his IC Title in a TLC match less than a week before he has to face Dean Ambrose in another TLC match. While it did give us more of the same from previous RAWs, there were at least some brighter points on this show compared to last week. RAW was a tough watch this week, saved pretty much only by Seth Rollins’ most recent Intercontinental Title open challenge. 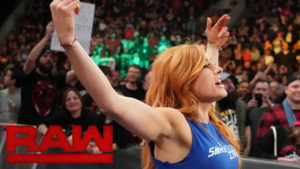 Rollins hunts for Ambrose, Natalya looks for revenge against Ruby Riott, Rousey wants to fight, Lucha House Party enjoys an unfair advantage, and more in an average episode of RAW. 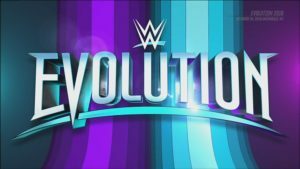 The RAW side of Survivor Series is decided on a RAW that wasn’t great until the last few minutes of the show. The buildup for Survivor Series starts with a RAW that had some good among the average.